The EU’s first-ever “State of the Energy Union” report is determinedly optimistic on progress, but offers little new information and appears to take just a small step towards resolving the biggest challenge of all: uniting national interests around EU priorities. Published by the European Commission on 18 November, the report is accompanied by a whole suite of studies in areas from energy security to climate action. The package sets out achievements to date and legislative proposals to come in 2016. No surprises in the headline of the European Commission’s press release on 18 November: “The Energy Union on track to deliver”. 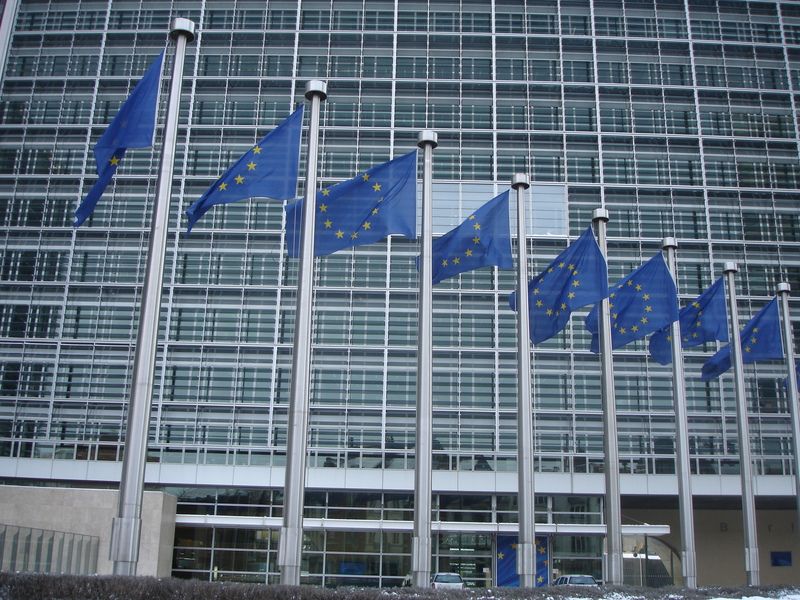 The Commission reports “much progress” since the adoption of an Energy Union strategy in February this year. Moreover, all the main legislative proposals to realise an Energy Union for Europe – and with that, a long-term transition to a low-carbon economy – will be on the table by the end of next year. 2016 will be “a year of delivery”, the Commission says. It gives plenty of examples of what “much progress” means, across all five dimensions of the Energy Union. They include: signing off on the first energy projects for funding from the Juncker Plan, completion of an underground power line between France and Spain that doubles their interconnection capacity to 2.8GW, proposals to revise the famous A to G energy label for white goods, and the launch of a new Strategic Energy Technology (SET) Plan to coordinate European energy R&D. Meanwhile, the latest figures from the European Environment Agency show that the EU comfortably exceeded its 20% by 2020 greenhouse gas emission reduction target six years early – in 2014, emissions were 23% below 1990 levels, while the economy grew by 46% over the same period. These achievements are notable, but not news. The same is true for the four political messages that the Commission’s Vice President for the Energy Union, Maroš Šefčovič, chose to convey at the press conference for the “State of the Energy Union” report. One, the EU must continue to lead the transition to a low-carbon economy; two, that transition should be socially fair and consumer-centred; three, geopolitical challenges are not going away; four, national energy and climate plans will underpin a new governance system to monitor progress towards Energy Union. What the Commission does not highlight in its communication on 18 November is the more problematic aspects of European energy markets. In supporting material, it shows that European consumers (household and industrial), still pay some of the highest electricity prices in the world on average, more than any other major economy except for Japan. In a separate paper on energy consumer trends 2010-15, the Commission notes a persistent lack of competition in energy markets, more consumers facing energy poverty, and current market arrangements that do not encourage or enable energy efficiency. Meanwhile, at least one analysis of the national climate plans submitted for the big UN climate conference in Paris in December concludes that the EU is proposing to do only just over a fifth of its “fair” share of climate action. Most interesting of all in the State of the Energy Union report however, is the steps it takes towards fleshing out a new governance mechanism for the Energy Union and more importantly, EU renewable energy and energy efficiency targets for 2030. Member States have rejected national level targets, meaning that it is up to the Commission to devise a way to deal with any shortfall particularly for the binding 27% EU renewables target (the 27% efficiency target is non-binding). But right from the start, Member States have had very different ideas about how much oversight Brussels should have. The UK wants it to be as little as possible, for example, while Germany insists there must be clarity on what happens if Member State contributions do not add up to enough. In national energy and climate plans, the Commission wants to see “trajectories” for: energy savings, the share of renewables in the energy mix, the penetration of specific renewable technologies and electricity demand. So far it remains unclear exactly how much power the EU will have over Member States. What the Commission did say on 18 November is that it plans to “anchor” governance in legislation through a single legislative proposal that would streamline all energy and climate reporting requirements for 2030. This would guarantee the involvement of the European Parliament in governance as a co-legislator. Sectoral proposals, such as a new renewables or energy efficiency directive, would not address governance. In practice, the basis of monitoring progress toward the Energy Union will be national energy and climate plans, the first batch of which the Commission would like to see in 2017. They should cover the period from 2021 to 2030, with a view out to 2050 too. From the Commission’s perspective, a primary reason for the plans is to force Member States to think long-term (so far, only a third of Member States has a 2030 climate and energy strategy). A second reason is to get them thinking regionally; the plans will have to contain an overview of key issues of cross-border relevance. On 18 November, the Commission issued a first guidance document on what should be in these plans. Member States will have to set objectives for each of the five dimensions of the Energy Union. This includes “national contributions” to the EU’s collective targets on greenhouse gas emissions, renewables, efficiency and interconnection. The Commission wants to see “trajectories” for energy savings, the share of renewables in the energy mix, the penetration of specific renewable technologies and electricity demand. Member States should provide a reference scenario and a scenario projecting the effects of their plans. This guidance to date will be followed up by a more detailed proposal for a template for the plans in 2016. The Commission envisages biennial progress reports, but just one review of the plans after 2020. In addition to the national plans, the governance mechanism will be fed by two other elements. First: country factsheets. On 18 November, the Commission issued an “energy factsheet” for each EU Member State, validated by the relevant national authorities, that sets out key information about the country across all five dimensions of the Energy Union (a full list can be found here). Second, the Commission proposed a list of 23 indicators to measure progress towards the Energy Union across Europe as a whole. If built, Nord Stream 3 and 4 would not give access to a new source of supply and would further increase transmission capacity from Russia to the EU, while even now this is only used at 50%. The indicators range from obvious ones such as net share of renewables in gross final energy consumption, import dependency and annual consumer switching rates for gas and electricity, to an energy poverty index, final energy consumption per square metre in the residential sector, and low-carbon technology patent applications per million habitants. The Commission emphasises that more work is needed to get this list right. In some cases, there is no readily available indicator, such as for smart grids or the resilience of electricity systems. In other cases, indicators need to be refined, such as for tracking the energy intensity and decarbonisation of the transport sector, energy poverty (there is no single European definition), and real unit energy costs for industry (the most recent data is from 2011). How did stakeholders react to the first State of the Energy Union report? Most of them welcomed it, although NGOs such as Greenpeace and WWF said the EU’s energy policy is still too focused on gas. The renewables lobby called on the Commission to issue proposals for a new renewables directive before finalising a binding template for the national plans and – contrary to the Commission’s current stated intention – include governance elements related to renewable energy in this directive. Polish MEP Jerzy Buzek, who chairs the European Parliament’s energy and industry committee, welcomed the involvement of the Parliament in governance and reiterated that any Nord Stream expansion should get no EU support because it “contradicts the principles of the Energy Union”. The main question that remains is: how much power Member States will have in future over energy policy outside their own borders. What the Commission has proposed so far is a monitoring and reporting procedure, albeit grounded in legislation. But the big question over what happens when the numbers don’t add up is still unanswered. Next up, EU energy ministers will meet on 26 November to adopt conclusions on governance. Then in the first half of 2016, the Commission will unveil a new “reference scenario” for the European energy system that will form the basis for assessing Member State contributions to the Energy Union – and underpin any proposals to make up the shortfall. If information is power, then the Commission’s monitoring plans may stand a chance. State of the Energy Union report including an updated roadmap for forthcoming proposals, Guidance for member states on national energy and climate plans, Proposal for 23 indicators to monitor progress towards the Energy Union and National factsheets. Second PCIs list – this is an updated version of a first list of priority energy infrastructure projects for Europe, called Projects of Common Interest (PCIs), adopted in October 2013. The list is updated every two years. Projects on this list get advantages like accelerated permitting – 3.5 years maximum – and the possibility to compete for access to EU funds. The new list is shorter than the old one – 195 projects down from 248. The split is 108 electricity, 77 gas, 7 oil and 3 smart grid projects. In addition, 25 electricity projects now get a second “e-highways” label. The list is shorter in part because 13 projects have been completed since the last list, or will be by year-end. The Commission says the number of PCIs in the gas sector has been reduced “to avoid creating capacity which exceeds the security of supply needs”. Green Group EEB noted that the Commission has approved less than half of the LNG projects proposed by Member States – just 8 out of 21. Think tank E3G said there were still too many gas projects and the list “almost overlooks the need for better electricity networks in eastern Europe”. Energy efficiency progress report – the EU is only headed for 17.6% primary energy savings for 2020, less than its 20% target, though up from 16.4% last year. The Commission singles out Croatia, Finland, Greece and Romania as needing to revisit their efficiency targets for 2020. Climate action progress report – yes, the EU has decoupled emissions from economic growth, but it is not yet on track to a 40% emission reduction by 2030. Member state projections add up to just 27%. In an annex, the Commission concludes that the EU’s carbon capture and storage (CCS) directive is “fit-for-purpose” (i.e. it’s not the reason CCS is not happening). Energy consumer trends 2010-15 – electricity and gas markets are not yet delivering for the consumer. EU Energy Security Strategy implementation report – progress is good, but “major challenges” remain. One of the main achievements is that energy security is no longer considered only in times of supply crises. It has become “a permanent priority”. Public consultation on a new EU renewable energy directive, open until 10 February. In its press release, the Commission also announced a proposal for a regulation on electricity and natural gas price statistics.